To celebrate the opening of his second stand up comedy show, Yoo Byung-jae started a contest where fans can draw a portrait of him. Yoo Byung-jae received the public’s attention for his active communication with fans through SNS. Especially, the portraits of him willingly drawn by the fans triggered much laughter. Anyone interested can participate, and the winners will be announced at 5 p.m. on April 4, via YG STUDIO COMEDY Instagram account. Prize for the winners includes tickets to the stand up comedy show, iPad Pro, and Nintendo Switch. In addition, the portraits will be hanged in the auditorium of the show. 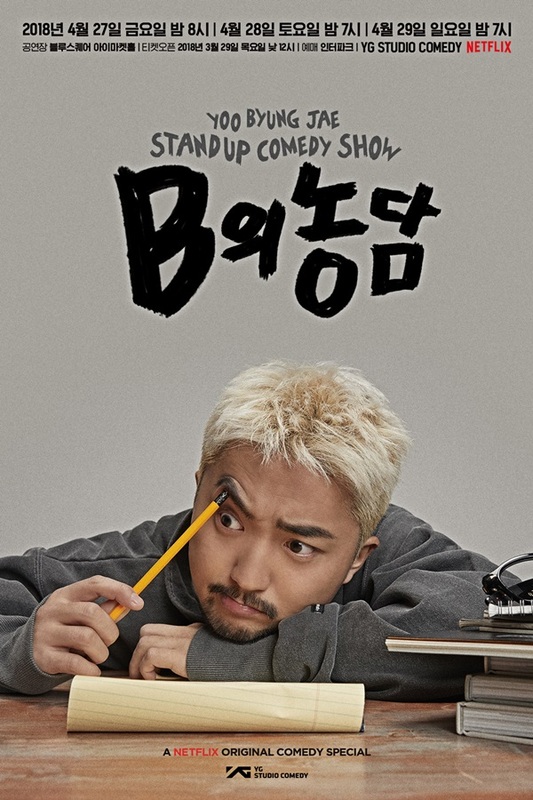 Meanwhile, Yoo Byung-jae’s second stand up comedy show ‘Jokes of B’ will take place at the Blue Square Eye Market Hall in Hannam-dong, Seoul. It will last for 3 days from April 27th to 29th. ‘B’ stands for many things, one of them being the initial for his first name, Byung-jae. Other meanings include ‘Black Comedy’ and ‘B rated’ comedy. The show is open for 19 and over only.